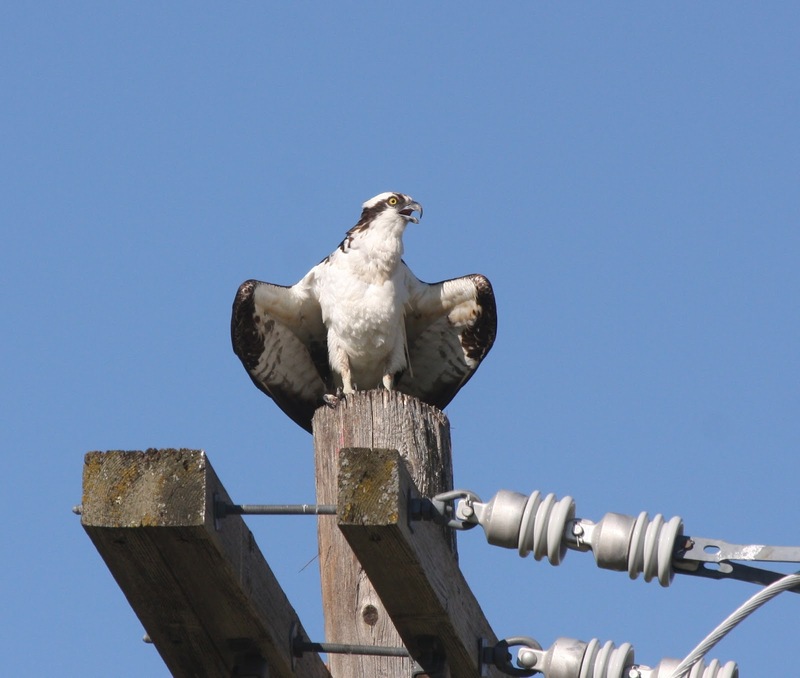 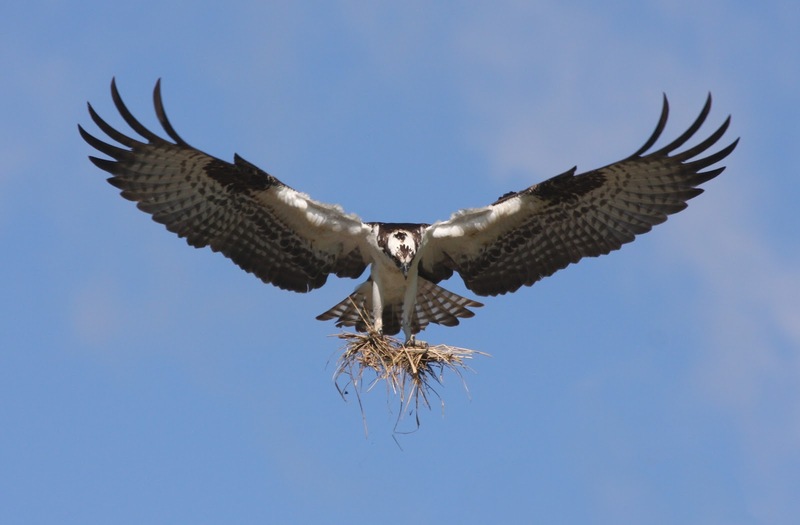 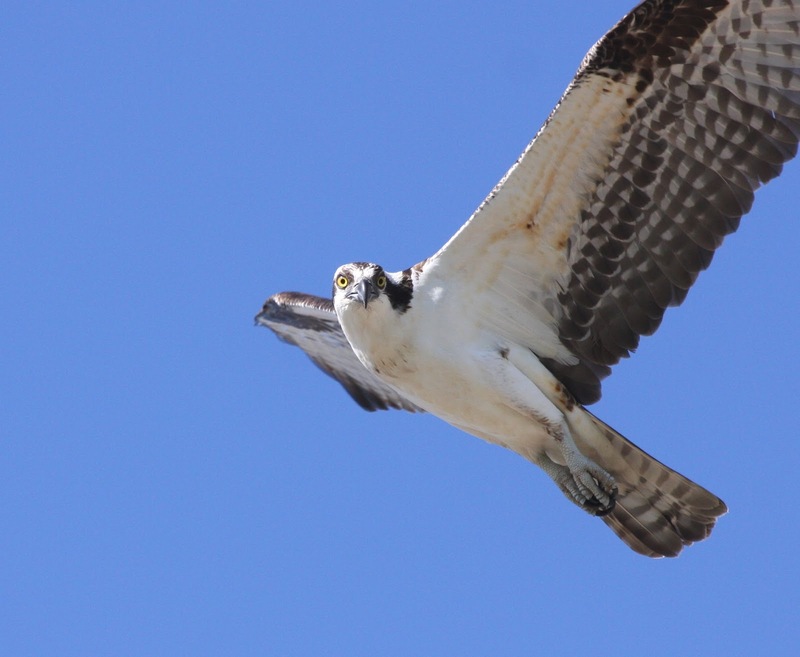 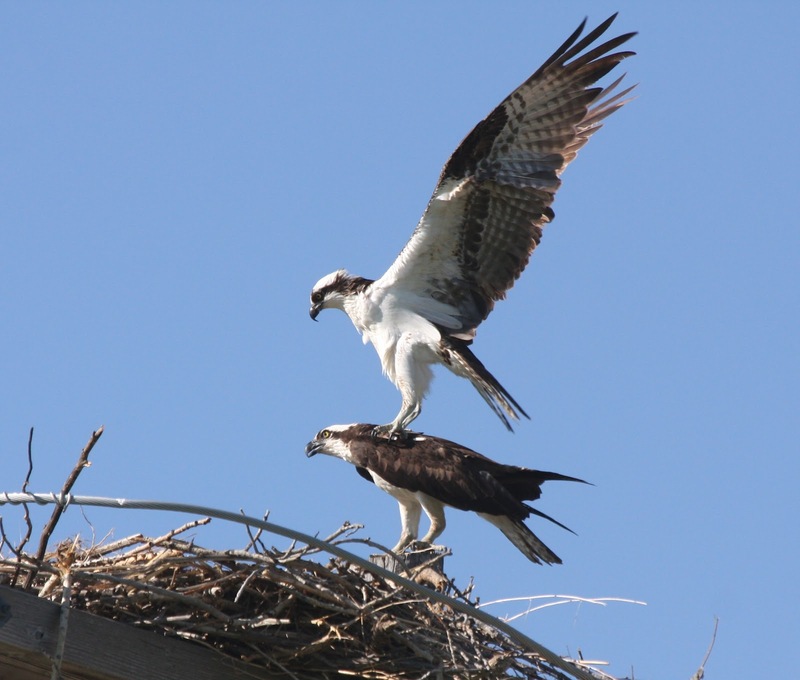 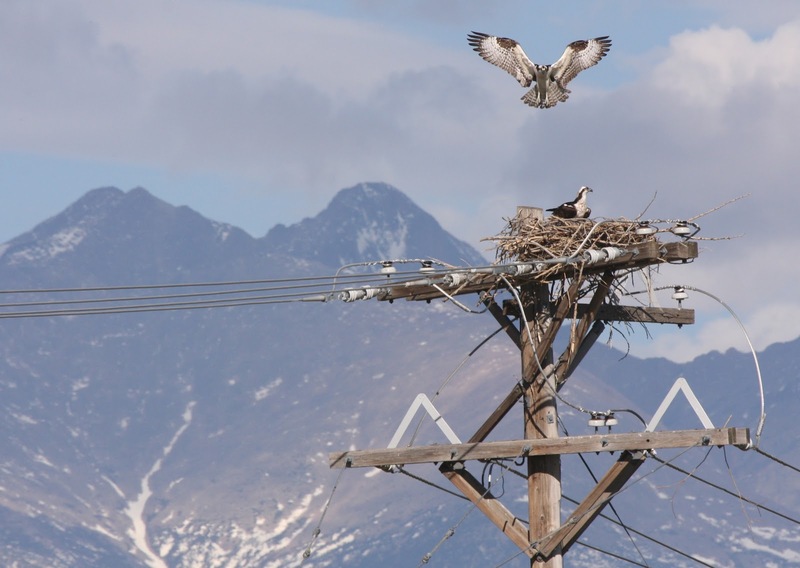 Marcel and I found a pair of Osprey nesting at one of our Burrowing Owl survey areas in Boulder County in late April. 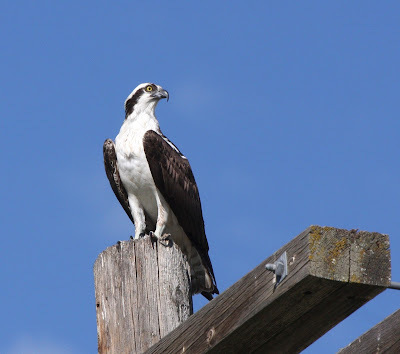 They've got a nice fishing pond adjacent to the Saint Vrain River to the south and great views of the Twin Peaks - Longs and Meeker. 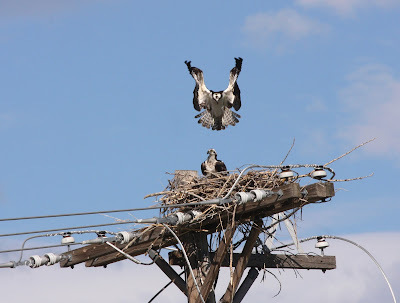 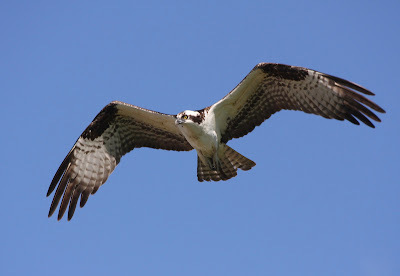 We were just back to the site yesterday (May 24) and oddly, there were five Osprey around the nest. 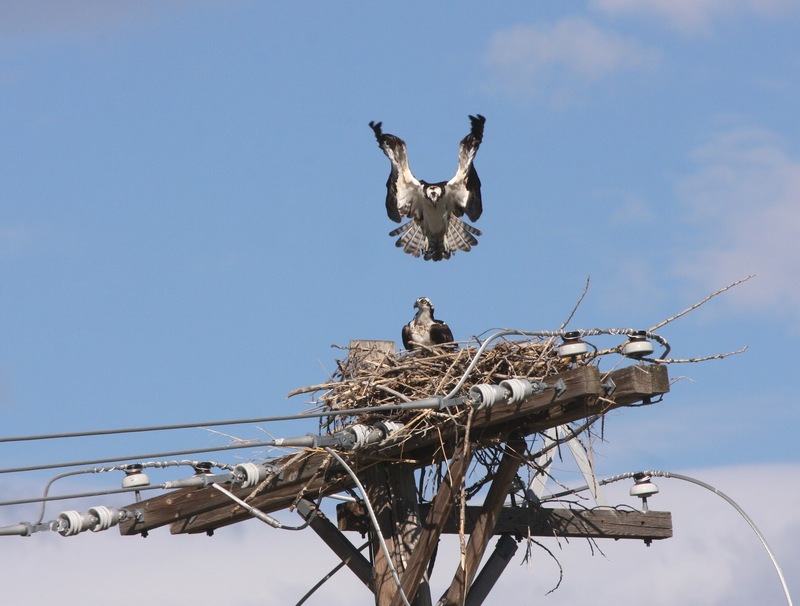 BTW: There are no Burrowing Owls at this site. The Ospreys have a couple avian neighbors of interest . . . a Red-tailed Hawk pair and Bobolinks. The Red-tailed Hawk pair are on a nest in a grove of Cottonwoods, which is conveniently located in the middle of the prairie dog town. They raised a couple of young here last year. 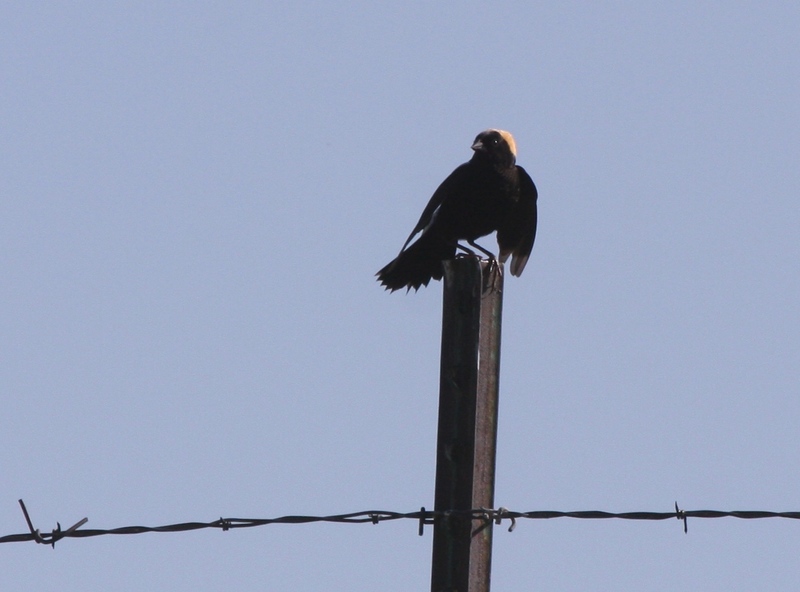 The lush, grassy fields to the east harbor nesting Bobolinks that we've been observing for years. 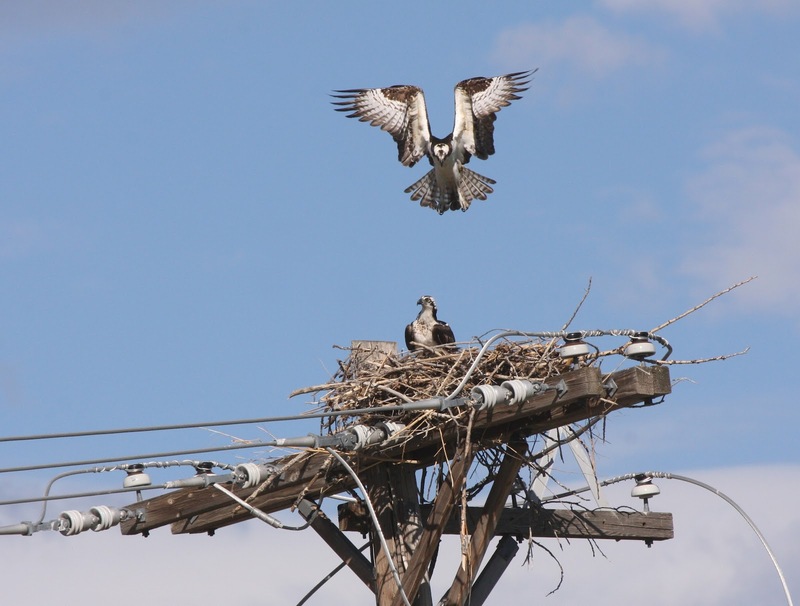 Boulder County now works with that landowner to ensure that the young are able to fledge before these fields are cut.